The Nibbler Mouse is the information-gathering mouse that reports back to its fellow mice about the placement of traps, advancement of hunters, and other mouse-worthy news to help them all gain an advantage over the King's forces. This mouse is very hard to catch on a regular basis because its goal is to visit traps multiple times, hoping to gather as much intel as possible (while taking cheese samples for testing) before returning and giving a very informative and enjoyable report to those mice wanting to keep up to date. The Nibbler Mouse is attracted only to SUPER|brie+. No Charms are required to attract the Nibbler Mouse. The Nibbler Mouse is weak to all Power Types (except Parental, but It is recommended that Hunters use a trap that will be effective against the main mouse population in their hunting location. The Nibbler Mouse drops Ancient Relics in all locations where it can be found. Attraction info and special event loot drops for the Nibbler Mouse can be found at the individual event location pages. The Nibbler Mouse drops the Nibbler Egg during the annual Spring Egg Hunt. 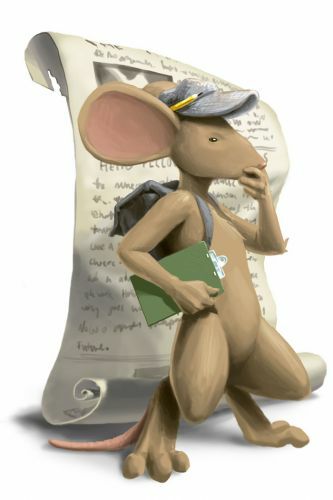 13 January 2009: The Nibbler Mouse was released as a thank you to the MouseHunt community. It takes its name from The Nibbler, the now-defunct community run MouseHunt newspaper. 2 September 2009: The Nibbler Mouse begain appearing in Cape Clawed, were temporarily removed from this location in June-July 2010 and reappeared in August 2010. The Nibbler Mouse was originally available in the Harbour and Lagoon but relocated from those locations to the Bazaar and S.S. Huntington IV. 14 April 2011: The Nibbler Mouse began dropping a bonus Nibbler Egg as loot as part of the Spring Egg Hunt 2011 event. 29 August 2012: The Nibbler Mouse began dropping Ancient Relic as loot on . 25 June 2013: The Nibbler Mouse gained a vulnerability to Law power type traps, with the release of Varmint Valley. 25 March 2014: The Nibbler Mouse gained a vulnerability to Rift power type traps, with the introduction of the Rift Plane. This page was last edited on 2 January 2019, at 13:08.